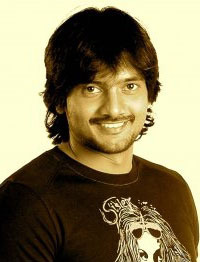 Sairam Shankar will soon be seen in a film titled Dillunodu. Jaya Ravindra, who had earlier directed Bumper Offer with Sairam Shankar in lead role, is directing this film. Jasmine and Priyadarshini are the lead actresses. K Venugopal is producing the film under Soudamini Creations banner. The film’s talkie part has been completed and the film unit will soon head to Bangkok to shoot couple of songs. The remaining songs will be shot in Hyderabad. Sekhar Chandra is scoring the music. The producer is planning to release the film in summer. Apart from this film, Sairam Shankar will also be seen in Teja’s upcoming film titled 1000 Abbadhalu and another film Romeo is expected to release soon.